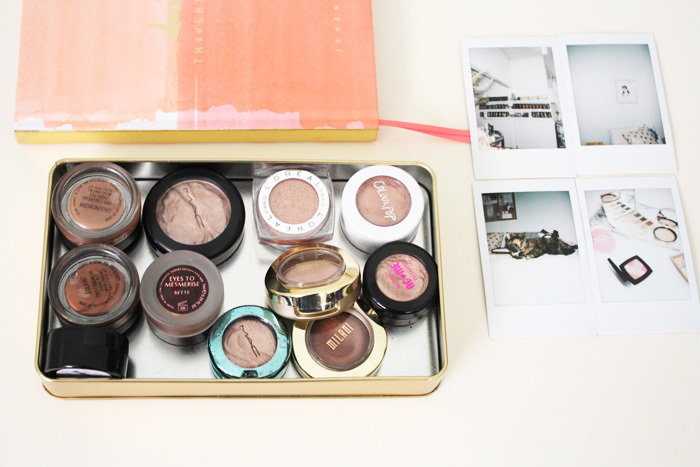 The Creams: MAC Groundwork Paint Pot*, MAC Foiled Eyeshadow in Joy Toy, limited edition. Colourpop Shadow in La La. 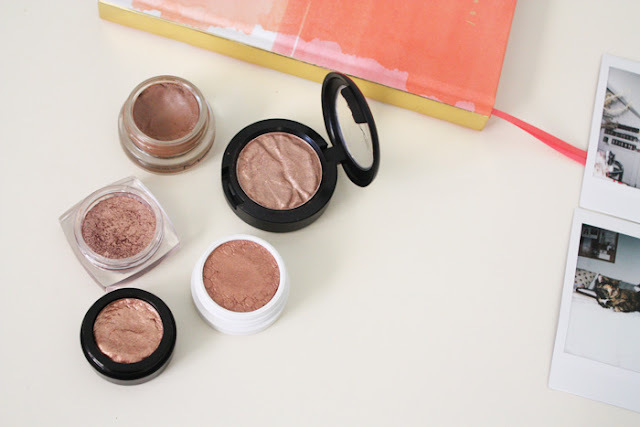 The Powder: L'Oreal Infallible Eyeshadow in Amber Rush. The Powders: MAC Extra Dimension Eyeshadow in Lorelei, limited edition. A range of these shadows has been made permanent though, more here. 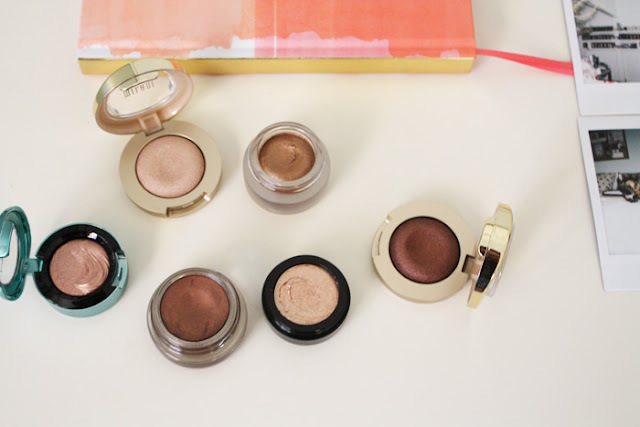 Milani Gel Powder Eyeshadows. The Creams: MAC Paint Pot in Eclair, limited edition. This is similar. Charlotte Tilbury Eyes to Mesmerise in Bette. Australis Metallix Eyeshadows. -Have you done a beauty cull? What are your tips and tricks for making it successful?